Despite its compact size, Montenegro is a diverse and rich country in terms of natural wealth and cultural heritage. Start counting its natural riches and the list is unending with stunning beaches and crystal clear lakes along with striking mountains and swift rivers. And all these add to the beauty of this tiny country. Montenegro also enjoys a flourishing cultural legacy, which can be gathered from the significant sites related to the culture and history of the country. The Mediterranean country if Montenegro has Croatia, Serbia, Kosovo, Albania, and Bosnia and Herzegovina as its neighbors. Podgorica is the capital city and a significant tourist attraction of Montenegro, whereas Niksic is the second largest city in the country. Besides, Montenegro boasts of many beautiful towns such as Bar, Ulcinj, Budva, Kotor, Herceg Novi and Tivat among others. The town of Kotor comes under UNESCO’s protection as a part of world heritage site. The Church of Our Lady of Rocks is a Roman Catholic Church located on an islet in the Kotor Bay has many legends associated with it. The coast of Montenegro boasts of some charming medieval fortresses and settlements. You can see a good blend of ancient architecture here in the form of Byzantine, Romanesque, Gothic, and Baroque architecture seen in the design of ancient churches and monasteries like the Ostrog monastery. Montenegro is a land of remarkable natural habitats in the form of national parks such as the Lovcen National Park, Biogradska Gora National Park, and Lake Skadar National Park. 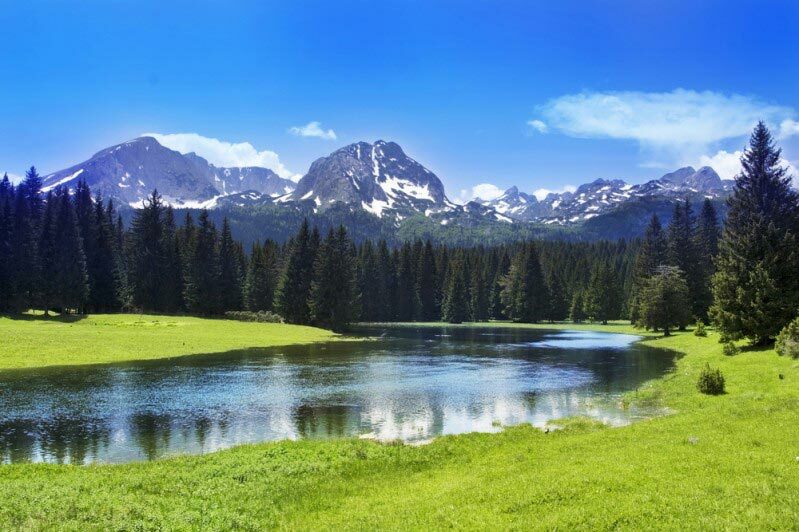 The Durmitor National Park is a renowned abode of nature formed by glaciers that are beautifully traversed by streams and rivers, thereby forming a striking limestone landscape carved out of ice and water.